say that I am done having kids. We will leave that in God's hands... we shall see. I do know that I miss having a baby, the kids are so big, it's so crazy to me. So even though Emme will be three years old come January, we still use a stroller for her. When she turned 2 I switched to a "toddler stroller" but truthfully I wasn't happy, I paid about $70 for it but it's true that sometimes you get what you pay for. 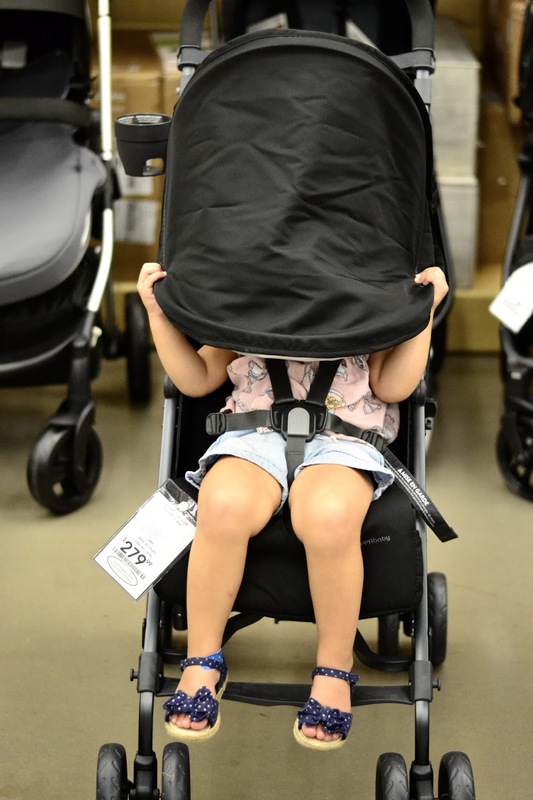 So I started my search for a good toddler stroller. I wanted something that wasn't too heavy, somewhat of an umbrella stroller but with great quality and a big basket as well as durability of course. My most important request was comfort for Emme, because she still does take naps and I want her to be at her most comfortable whenever we go out or travel. I partnered with Buy Buy Baby to search for the perfect toddler and travel stroller. From the moment I walked in to the store, I was greeted by the store manager and introduced to the stroller expert. She was super patient and informative and recommended the UppaBaby G-Luxe stroller from the very start. Now I know why everyone raves about UppaBaby! The style is very cool and chic, the quality is great and most importantly it's a super comfortable stroller for toddlers. I love that the basket is big and that the canopy can be expanded to cover Emme from the sun rays. 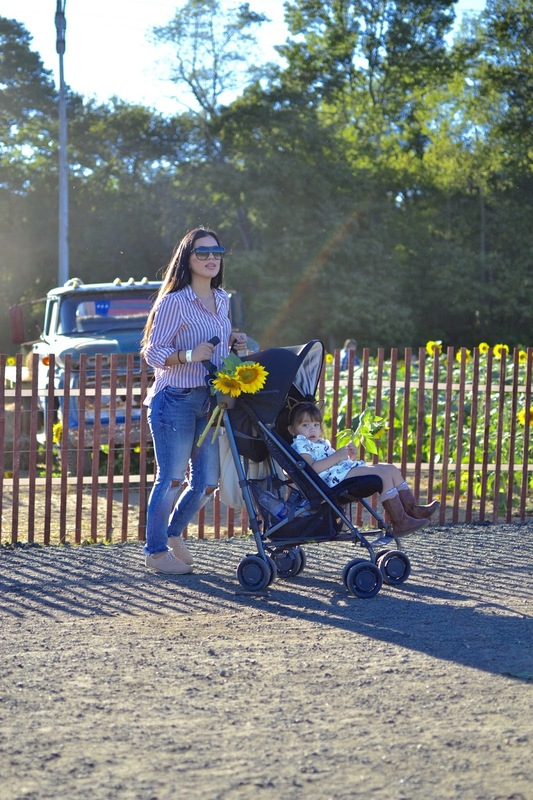 It's the best umbrella stroller, travel stroller, everyday stroller for a growing toddler and I 100% recommend it. Supports children from 3 months up to 55 lb. - so it will last you a few years! 5-point adjustable safety harness - safety is always first. Easy-open sun canopy offers shade and UV protection - best canopy ever! Removable cup holder - I hate when strollers don't come with a cup holder. Roomy and easily accessible under-seat storage basket - yes, always need a roomy basket! I hope you guys enjoyed this little review on the UppaBaby G-Luxe stroller and that it's useful to your stroller search! 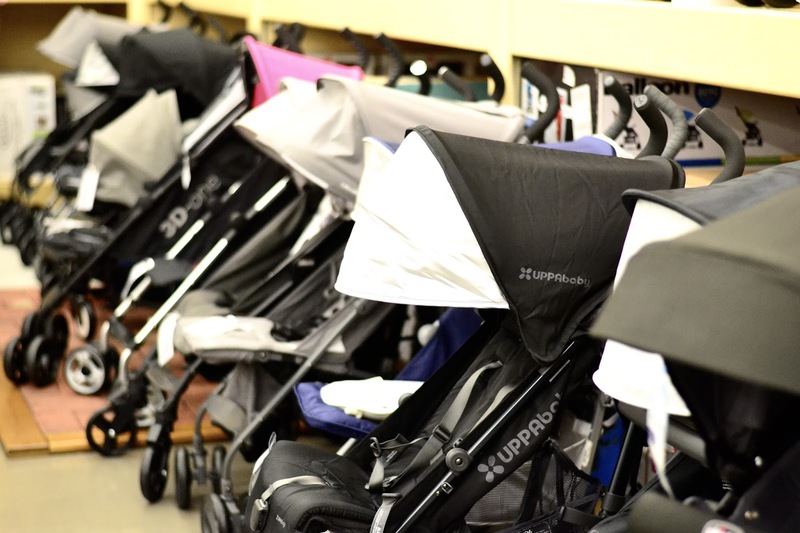 Stop by your nearest Buy Buy Baby and chat with a stroller expert for your baby gear needs. They were amazing to us!